Come tax season, fear of triggering an IRS audit runs high. While we’ve all heard horror stories about the Tax Man taking his pound of flesh, it’s best to know the real penalties and the options you have if facing one. That is not having to deal with penalties in the first place. Many of the issues that raise red flags and trigger a second look are easy to avoid. Work with a professional bookkeeper or accounting firm, and make sure you do the little things (like keeping detailed records, especially for vehicle use. Vehicle-related deductions are always a favorite place auditors love to scrutinize). However, even the most careful can still find himself or herself in front of an auditor. If you do find yourself in the sticky situation of an IRS Audit, always seek out the help of a tax professional. What should you expect for penalties and how bad can they be? Since audits are rarely random, getting that notice will likely mean it you’re going to owe – the original tax and the penalties. So, what will it cost you? Penalties vary based on the egregiousness of your error. Accuracy matters! Or, in this case, the degree of inaccuracy can be a killer. Penalties can range from 20-40% of the amount you underpaid. Misstating the Value of Donations & Property. Overvaluing of donated property or undervaluing of depreciating property by 200 percent carries a 20 percent penalty. Overvaluing donated property or undervaluing depreciating property by 400 percent carries a 40 percent penalty. Understating a Gift or Estate. Erroneously stating the value of property claimed on a gift tax or estate tax return at 65 percent or less of its actual market value carries a 20 percent penalty. Erroneously stating the value of property claimed on a gift tax or estate tax return at 40 percent or less of its actual market value carries a 40 percent penalty. No penalty will result if the understatement results in a tax underpayment of $5,000 or less. Understatements Related to Reportable Transactions. 20 percent penalty for understating tax liabilities due to a tax shelter or tax avoidance transaction that are disclosed. Inadequately disclosed tax shelters or tax avoidance shelters that carry a 30 percent penalty. 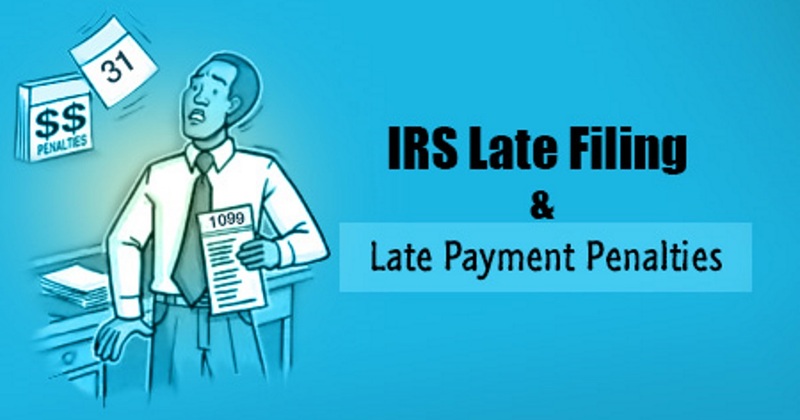 Forgetting to file, filing late, and paying late will cost you too. The rules change a bit if you are late with an Audit payment. If you don’t pay in full after 21 days of your notice, penalties begin amassing at .5% per month. Worse – if you have accuracy-related penalties, fraudulent failure to file, or civil fraud assessments, you will be charged 3% of the amount owed annually. For less than $100,000 in fees, you have 21 days to pay. For $100,000 and above, you have 10 Days! Then the interest begins to accrue. Thinking of skipping those quarterly payments? Don’t! The US tax system is ‘pay as you go’. As an employee, your employer withholds and sends your tax payment for you. If you are self-employed, you’re responsible for making estimated tax payments. Failing to make these payments or paying them late will result in penalties and fees. Civil charges are the most common penalty in this department. If you’re late making a quarterly payment, or don’t make one at all, the IRS charges you interest on the money you owe for each day you are late. Criminal charges could also be levied here, but usually only in conjunction with an audit and other criminal investigations. Protest Returns – They’re not as funny as they seem. In the past, celebrities have filed fake tax returns to protest the income tax. Filing fake taxes is a felony, but less serious than actual tax evasion (the big kahuna). If you are convicted of filing a fake return, you can face up to 3 years in prison and $100,000 in fines. On a side note, with so much tax return identity theft going on, I hope they give this to the guy who robbed me! The IRS defines tax fraud as entities who engage in tax evasion schemes to lower their tax burden. Don’t be tempted to hide income in someone else’s name! IRS has a choice to pursue fraud cases as civil or criminal. There is more burden of proof (and paperwork) for a criminal case than civil one. Just like CSI, the IRS will almost always pursue the criminal case first. If they fail to convict, they still have the civil case to pursue. The bad news? The penalty in a civil case is a whopper: 75% of the assessed unpaid tax. For criminal charges, it is up to a year in prison and $25,000 in fines for each year you failed to file. The statute of limitations for prosecution is 6 years for criminal cases, increasing the risk of getting caught. For lesser-fined, civil charges, there is no statute of limitations. The good news – the IRS still prefers the criminal route. Tax Evasion – It’s how they got Al Capone. Evasion, per the IRS, is defined as any person who willfully attempts to evade or defeat any tax imposed by concealment and misrepresentation of financial assets. This felony comes with a penalty of up to 5 years in prison and $250,000 fine for individuals ($500,000 for corporations). That’s per instance they discover. It put old Al away for life! Did not receive audit notice due to a move. You submitted evidence that would lower your tax burden that the IRS chose not to allow (you are petitioning for a reconsideration of this). There is new documentation to help your case. You have filed a new return that has better information than one generated by the IRS in a Failure to File case. The IRS committed math or processing errors in calculating your penalties and tax burden. Keep in mind it typically takes 30 days for the IRS to respond to these requests and failure to pay or paying late will result in further penalties. If you are enduring a financial hardship, you can request for your file to be expedited. Offer in Compromise – the Last Resort. If you’ve exhausted all your resources and are left with more in taxes due plus fees and penalties than you can reasonably put together, you can now submit an Offer in Compromise. This allows you to settle your tax debt for less than the full amount you owe. The IRS will look at your specific circumstances and will generally approve an offer to compromise if they feel the amount you offer is what they would expect to collect in a reasonable period of time. If you choose to make an offer, make it reasonable! You can also request a penalty abatement by filing IRS Form 843. All currently required returns have been filed or you filed an extension of time. Hopefully, you won’t find yourself facing an audit. If you do, at least you know what you can be facing and your options. As the makers of America's most accurate mileage tracker, a major part of our company's mission is to be a trusted source of information about vehicle related tax deductions.